What an amazing weekend, I don't think it could get any better. It was relaxing, exciting, busy, and just fun. After coming home on Thursday night I worked on my gingersnap costumes for the Nutcracker photoshoot which was Saturday. I sewed with help from my mom, till midnight because I wanted to get everything done. Friday was spent relaxing and I got to see my really great friend Amanda from high school it was fun reuniting with an old friend. Later that night I went to a Servite playoff game and that was fun besides the fact it was absolutely freezing. I awaited the big day, the PHOTOSHOOT and all I have to say is CRAZY! I was running around getting costumes done at last minute and sewing for some of the people/parents who didn't do their given costuming jobs, which was stressful and somewhat annoying. But you gotta do what you gotta do, and thank goodness I can sew! The amazing mom I have made my sister a Ballerina Barbie pink tutu to wear. 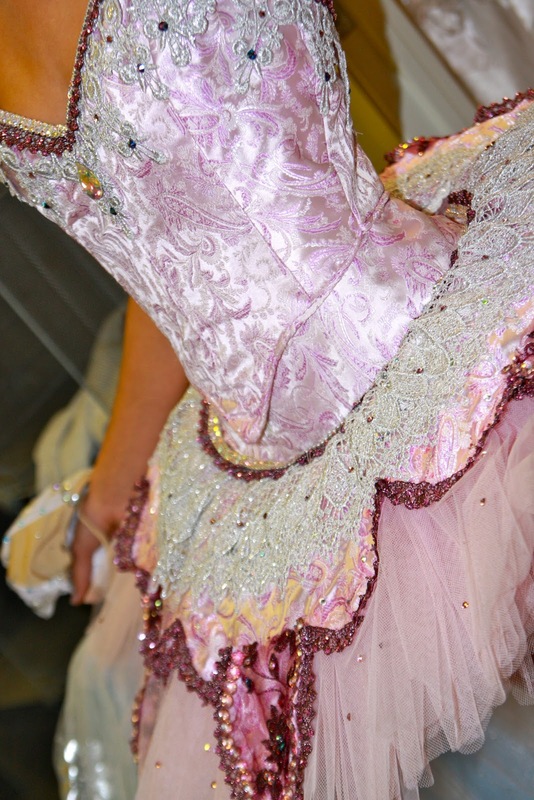 We rhinestoned, embellished, fitted, and helped create this marvelous tutu. 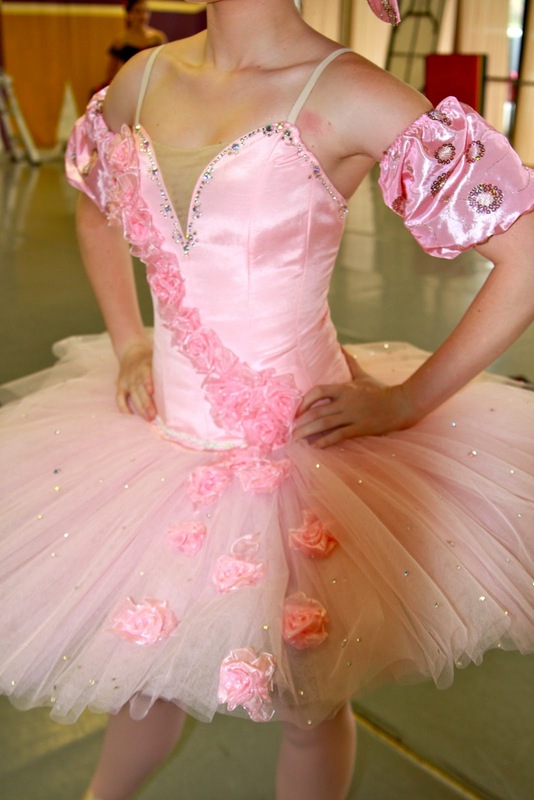 It's amazing and Kelsie wears it well, with a huge bow and arm poofs she truly is a Ballerina Barbie. The Reed Flute costumes were absolutely hideous when they were given to my mom. It was apparent that they were made carelessly, and showed no care or time at all. This just made it harder to make them look amazing, but I think we did a great job! My mom was the one to help this helpless tutu, with much work done it is now beautiful and Kelsie looks like a true Snow Queen. 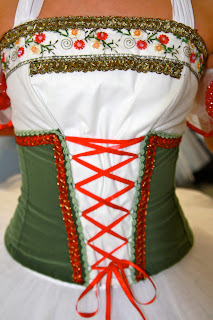 My mom added some lace and jewels to the bodice to help make it sparkle, and she gave her some arm poofs and a blue sequenced choker. 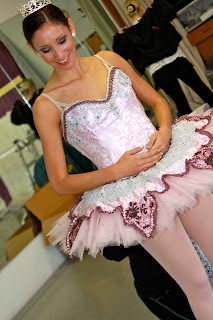 Jewel Dyson head of costuming this year was up til 2 AM Friday night making the Sugar Plum tutu and her hard work definitely payed off. Isn't it beautiful! The attention to detail is beautiful, I am in charge of making a beautiful choker to wear. These are some of the awesome costumes I helped make. 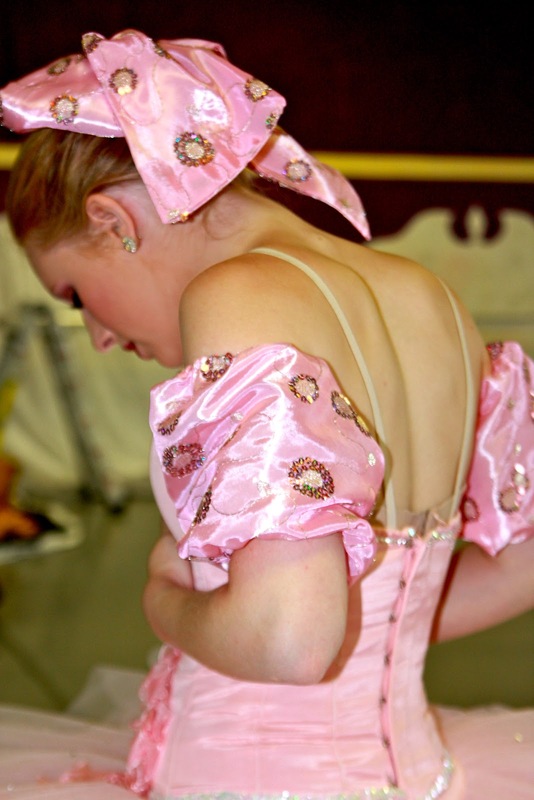 If you are interested come see the costumes come to life with the amazing dancers. The Hirschl School of Dance Arts is performing their 22nd annual Nutcracker at Servite High School on Dec. 11 at 11 AM and 7 PM and the 12th at 12 PM. It is definitely worth seeing. Wow, these are all so intricate! When I danced the Nutcracker, I never had costumes this detailed!